Do you know who will serve as guardian for your children if you and their other parent are unable to care for them? Do you have a plan for paying for your children’s college educations and for providing for them if you become incapacitated or pass away? How are you planning for the legacy you will leave your child? What types of planning do young families need to do? What is involved in planning for young families and what types of assistance are available? How can a Beverly, MA attorney help young families to take control of their future? Life is full of unexpected surprises, many of which are good but some of which are tragic. You need to plan ahead for both the good- like your child getting into a dream school – as well as for the bad, like a sudden illness or injury that leaves you incapacitated or that causes an untimely death. 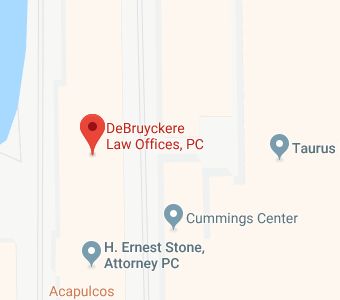 DeBruyckere Law Offices assists in planning ahead for any eventuality. While most young people don’t like to think about disaster striking them, if you do not have a plan in place then your family could suffer grave harm if something bad happens to you. Protecting your loved ones from difficult decisions if you are ill or injured. You do not want your family to have to guess what types of life-saving medical care you’d want or when you’d want intervention to stop. While most older people have discussed these issues with family, many young people have not because they don’t consider incapacity as something that is likely to happen to them. Growing and protecting your assets. You’ll need to decide how to invest for college, for retirement, and for the creation of a secure financial future. You’ll also want to ensure you use available tools that can help you to protect the assets you have worked hard to build. Ensuring your children are cared for no matter what. You’ll want to ensure they have a guardian who will provide them with love and support and you will also want to ensure there is enough money to financially provide for them. Legacy planning. What do you want to leave behind and how do you want to leave your mark on the world? The sooner you begin planning for what you want your legacy to be, the more likely you’ll be able to achieve your goals. What is Involved with Planning and Who Can Assist Young Families? Understanding tax advantaged college and retirement accounts and making plans to invest in them. Using trusts and other strategic forms of ownership for both asset protection and for protection in case of incapacity. Creating a living will/advanced directive and a power of attorney to ensure that your assets are managed appropriately and your healthcare decisions are made by a trusted agent in case of incapacity. Developing a plan for building and protecting wealth, including reducing or avoiding estate taxes and ensuring assets aren’t lost due to nursing home bills, bankruptcy, or divorce of your heirs. These are just a few of many tasks that could be part of planning for young families. An elder law and estate planning attorney is actually best suited to help even if you are very young because attorneys within this field know the rules for asset growth and protection as well as for legacy and inheritance planning. How Can a Beverly Attorney Help Young Families? DeBruyckere Law Offices provides representation to clients in both New Hampshire and Massachusetts. We offer personalized guidance and assistance with the creation of your comprehensive estate plan to protect yourself and those you love through all of life’s uncertainties. Give us a call at at our New Hampshire number, (603) 894-4141 or at our Massachusetts number, (978) 969-0331, today to learn more.